특 징 : 저가형 VOC 측정기로서 펌프식이 아닌 확산방식이다. • The ToxiRAE Plus PID lamp and sensor comes apart in seconds for easy maintenance without any tools! 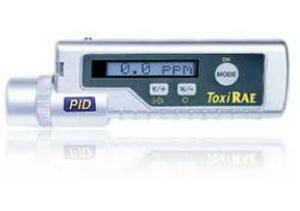 • Measure more chemicals than with any other PID. With over 38 standard Correction Factors available and the largest printed list of Correction Factors in the world (300+), RAE Systems offers the ability to accurately measure more ionizable chemicals than any other PID! • The standard rugged rubber boot helps assure that the ToxiRAE Plus survives the bumps and knocks of tough field use.